Wondering what one of your most frequently asked fashion question is? Mixing prints and patterns! 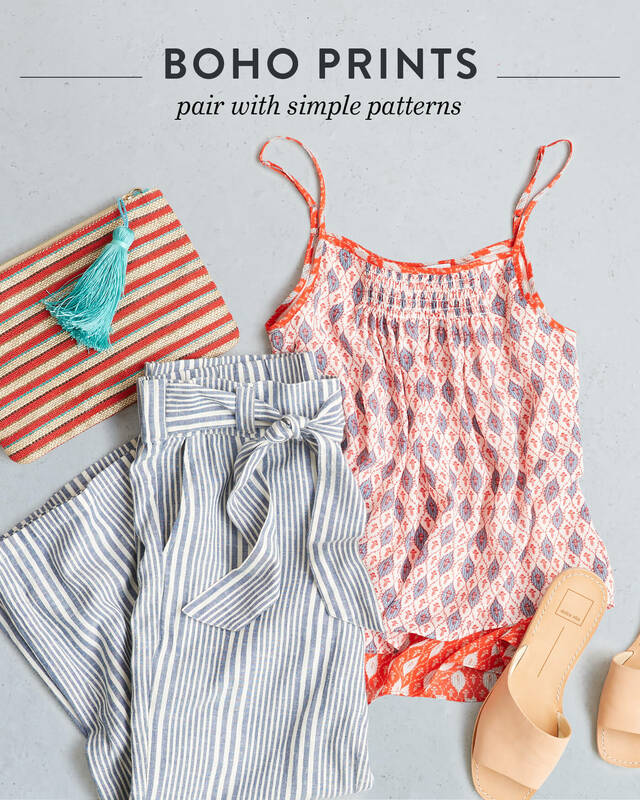 We're here to give you the scoop on how to perfectly pair your favorite prints and patterns—whether you're looking to break out of your go-to solids or ready to try something new with your freshest florals. Ready for more great news? The best looks don’t stop at just one print per ensemble. 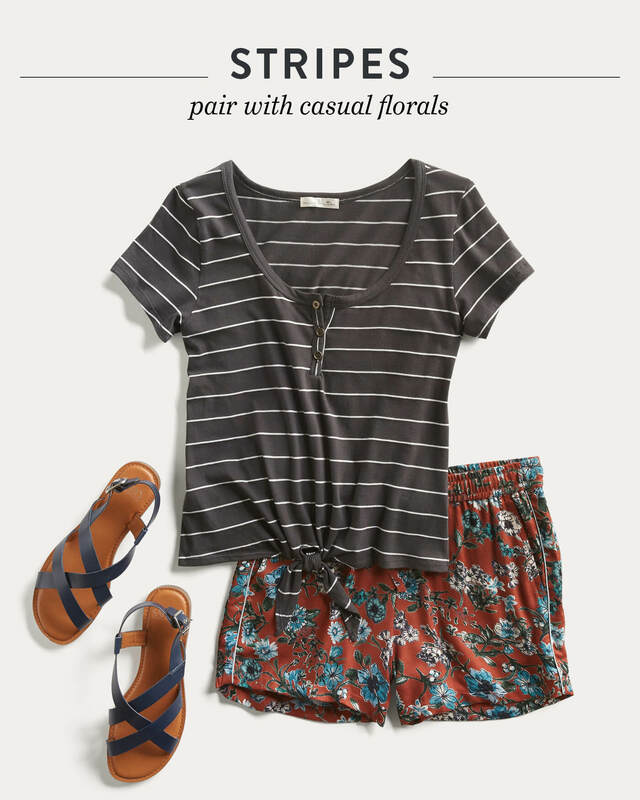 Keep reading to learn more about mixing & matching patterns! Fun, flirty and feminine—no pattern does it quite like florals. This season, the name of the game is big and bold. Think: less “Couch-Cover-Chic” and more “Dancing-on-the-Riviera.” Pair a ladylike skirt with a structured top, statement bag and stacked-heel sandals for a look that’s a million miles from being a wallflower. 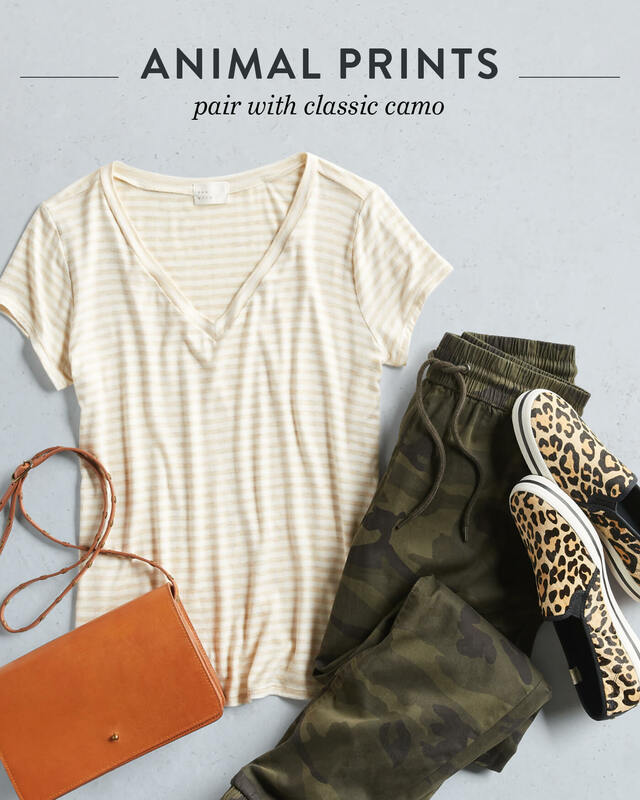 Leave it to one of our favorite fashion icons, Jenna Lyons, once said, “As far as I’m concerned, leopard is a neutral.” We couldn’t agree more! If animal prints were a person, it could hang out in any crowd—talk about wild. Equally welcome in all looks from classic and buttoned-up to boho and ultra-laidback, these prints go with everything. 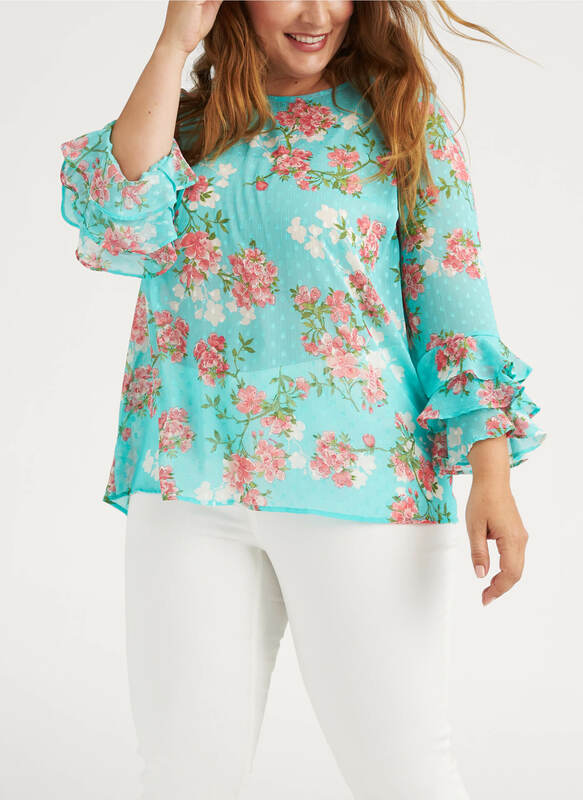 Our favorite way to start off with this print? 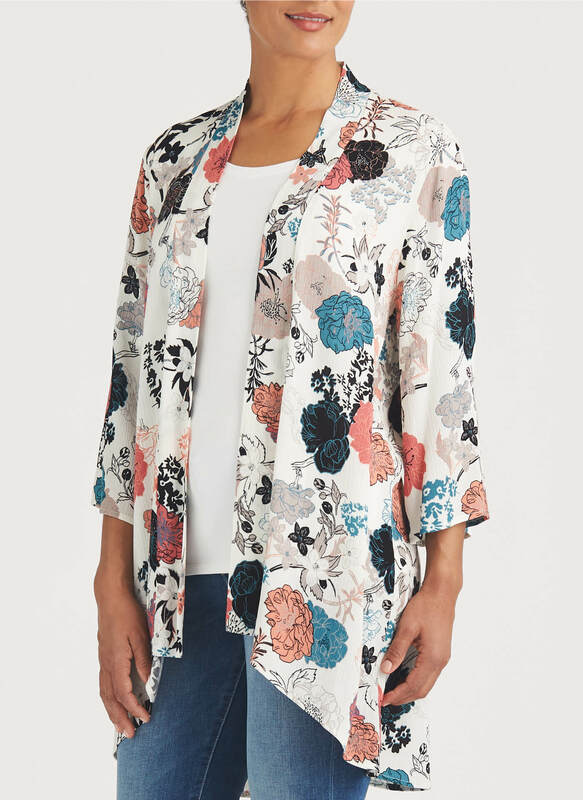 Wear it with a white tee and jeans and pepper in this print with a belt, bag or shoes. 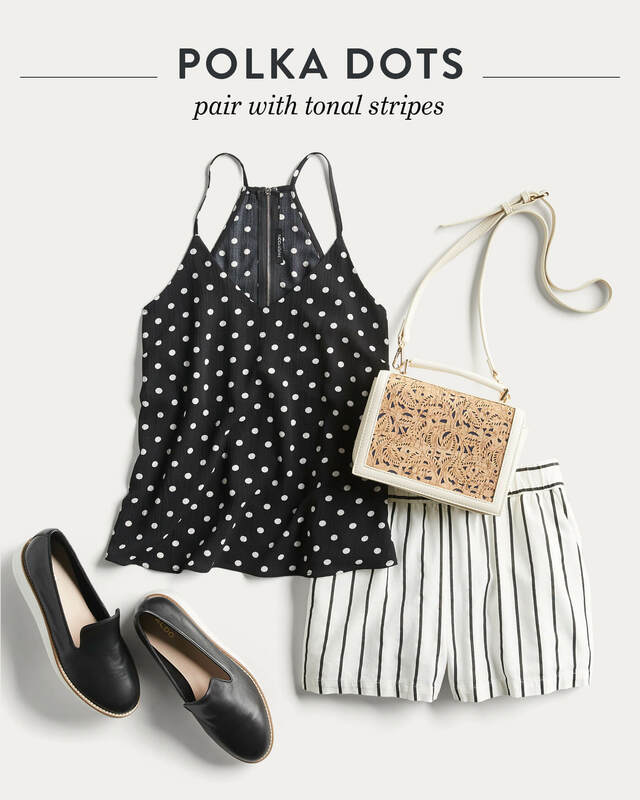 If you’re looking to put some prep in your step this season, then polka dots are your go-to pattern. The larger the dot, the more vintage the vibe. Since the preppy look is all about tailoring and structure, stick to a small dot on a dark color. Mix some shorts with a classic denim jacket for a look that’s comfy, casual, and super clean. If you would say your personal style is a little more inspired by the outdoors, easy pieces and flowy silhouettes, boho prints just might be your spirit pattern. Think: watercolors, paisley, stamped prints and even flora. 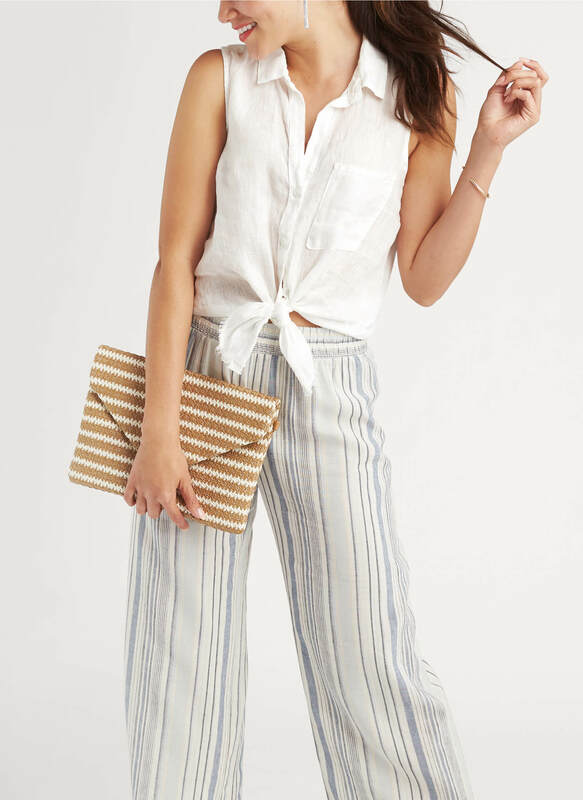 We like to pair these with breezy pieces like linen pants and shorts, midi skirts and distressed jeans. As the old saying goes, you can’t ever have too much of a good thing. 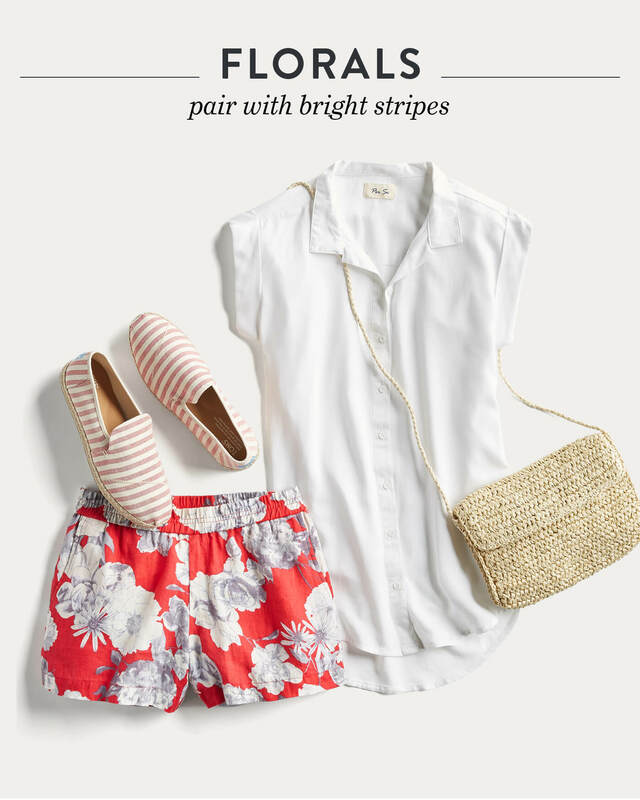 When it comes to mixing and matching prints and patterns, we couldn’t agree more. Here are a few simple guidelines to master your mixing. When mixing things up, pick the print you want to focus on and start there. That’s your “hero.” For example, let’s say you’re going with a statement floral dress. This pattern should be the biggest, and all others (i.e. on your jacket or sash) should be smaller in size. Staying in a singular palette will keep your outfit from looking thrown together. If your hero piece is warm and bright, reach for complementary patterns that are in the same color story. Neutrals are anything but boring, but they are safe. If you’re rocking a mixed print as your hero piece, neutral patterns (like black, white, tan, cream) are an easy addition and will bring your look down to earth. What’s your favorite print? Schedule your Fix and ask your Stylist to include them in your Fix Note!